Put a twist on traditional luminaries with a faux stained glass technique that's super easy to DIY with Aleene's® Original Tacky Glue®! 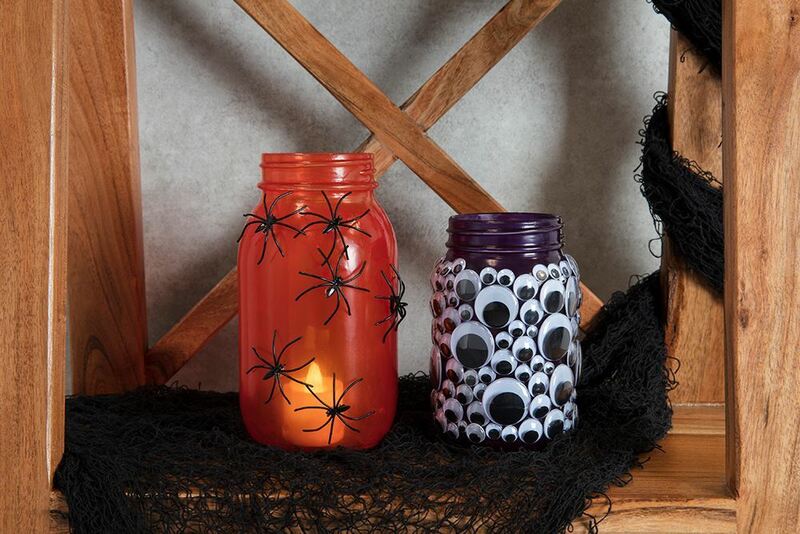 We added Halloween themed embellishments like spiders and googly eyes to ours, but you can switch out your colors and add-ons for any theme, any time of year! 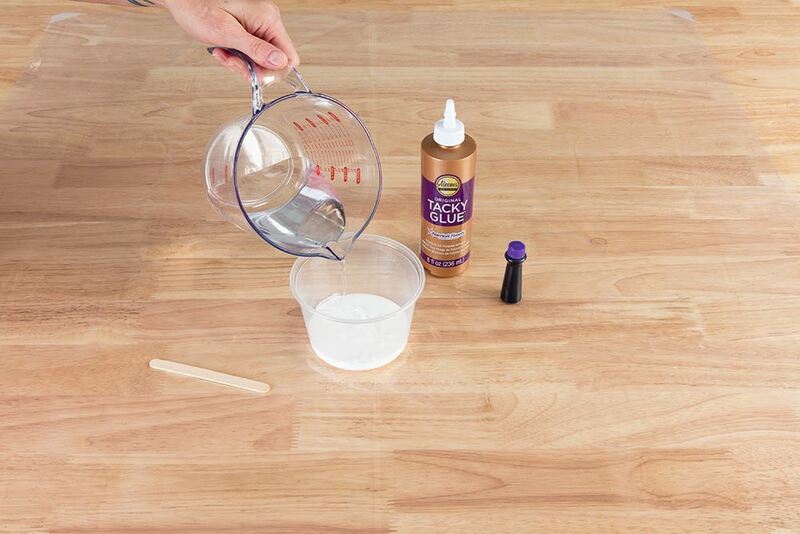 Add a small amount of water to glue. 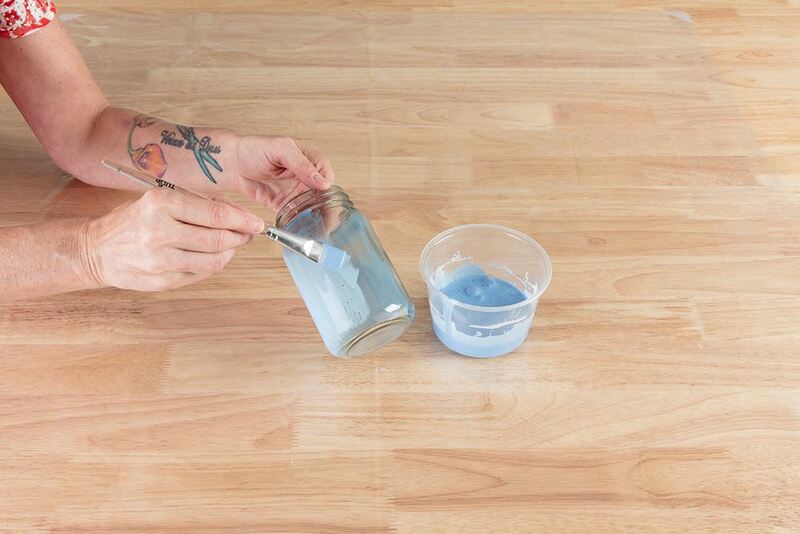 Mix water and Tacky Glue until the consistency of cake batter. You may need to add more water in small increments until consistency is reached. 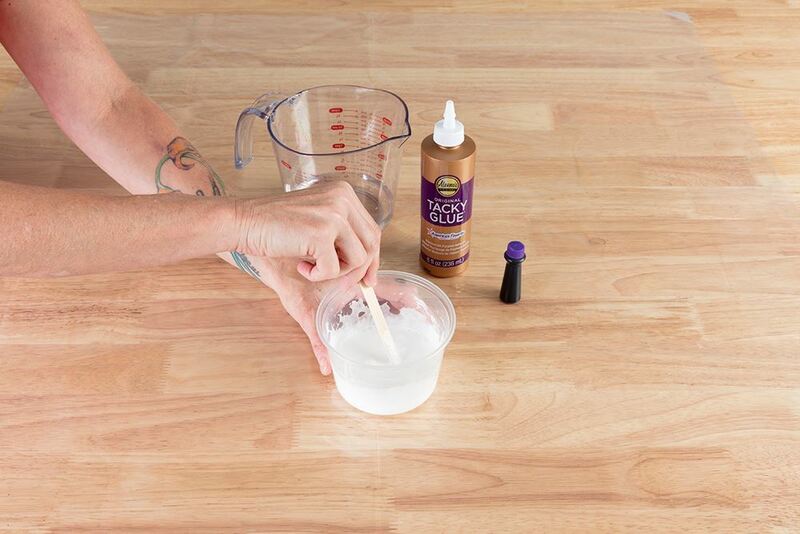 Add a few drops of food coloring to watered down glue and mix. Add more food coloring if desired. Note: mixture will dry darker than it appears while wet. 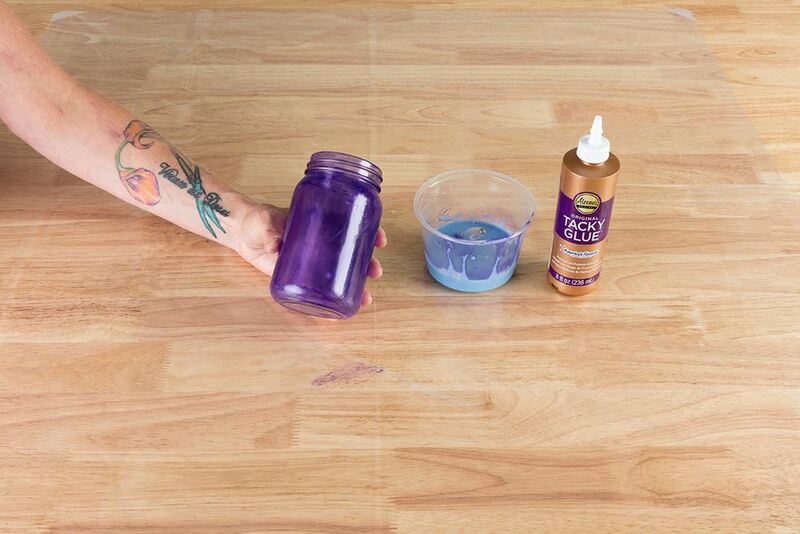 Use paintbrush to paint colored glue mixture onto jars. Let dry between coats. 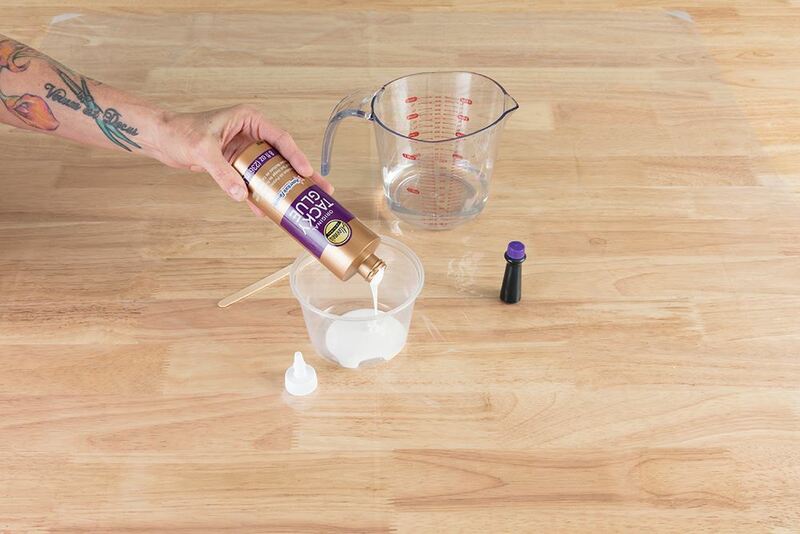 Apply several coats until desired color opacity is achieved. 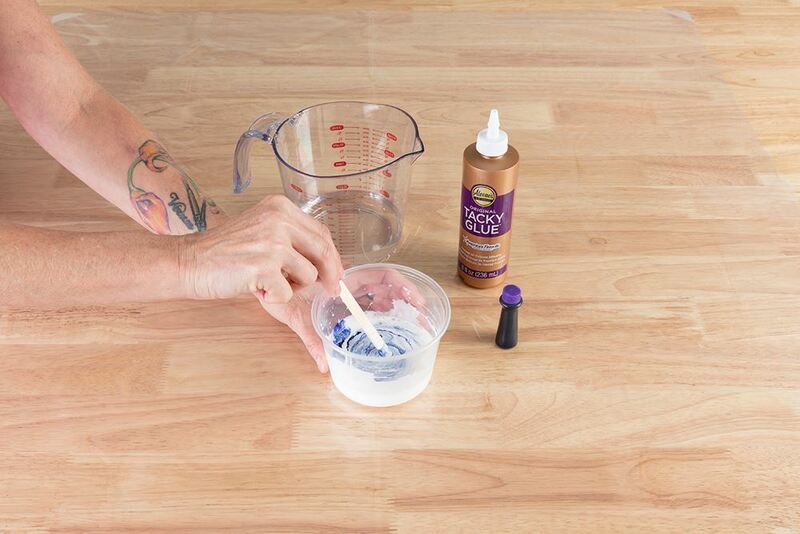 Once dry, use Tacky Glue to glue desired embellishments onto jars and let dry. 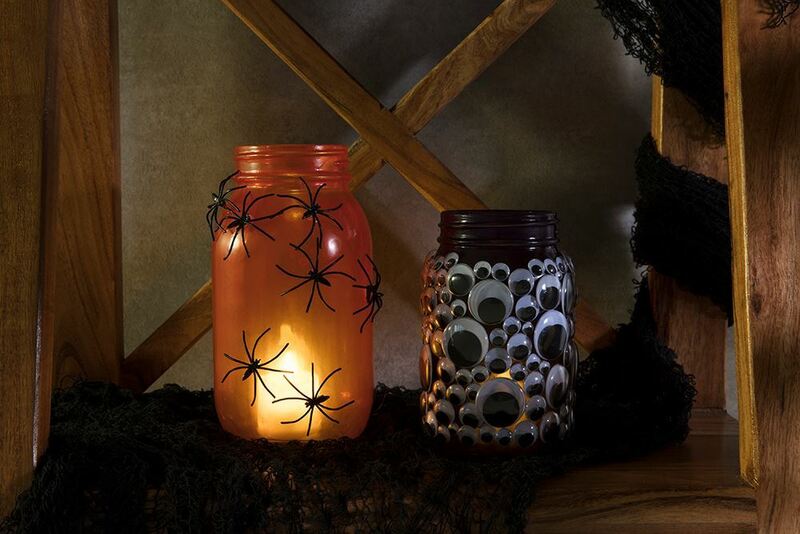 Add tea lights to jars for a colorful glow! Once dry, do the jars feel "tacky"? Would it help to seal with a spray on sealant?